Oh My! It's October already and I truly hope everyone is feeling fine and doing great. Time truly flies and now it's Month 10 of 2009. Hello! 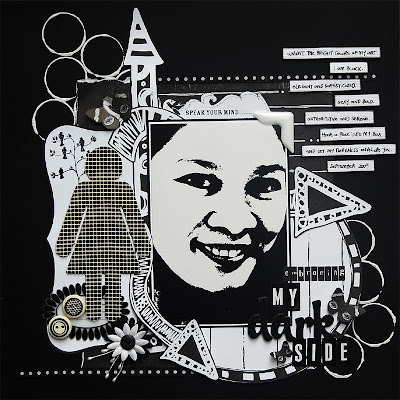 I’m Janis, a scrapbooker from the Philippines. 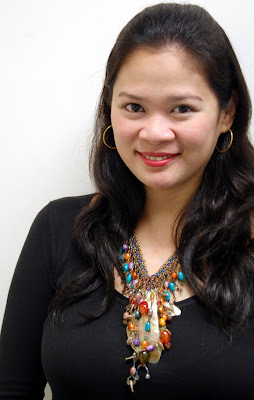 I am married to a very supportive husband JE and a mother to Nat (4yo) and Phil (2yo). 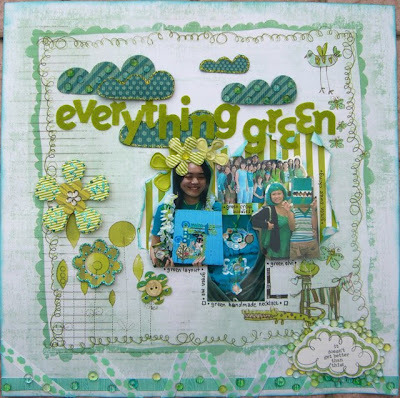 I started scrapbooking April 2008 and have never been able to stop. 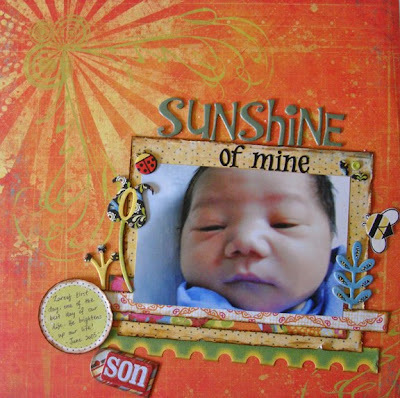 I do mostly 12x12 pages - - usually with my kids as the subject - - but I also dabble in cardmaking and altered projects from time to time. My style can very much adapt to the papers and embellishments that I design with although a play on bold and bright colors usually stands out on my layouts (hence, the monicker Ms. Bold and Bright among friends!). I have a penchant for elaborate layouts - - I soo love putting details and textures on my pages. Clustering, layering and distressing are the usual techniques that I use although I am not afraid to experiment and try other techniques. I feel that I am still new at this craft and have a lot to learn in the process. 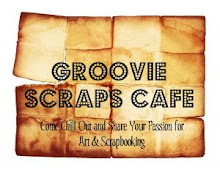 I am so excited and honored to be the featured Groovie Guest Designer for October. Thanks so much Edleen for the opportunity. My challenge is to create a monochromatic layout. If you're keen, why not scrap the color that best describes you? There's a RAK Prize for a winner! and Thanks Everyone for joining the fun.